In his interview with The Hollywood Reporter, Ned Stark star Sean Bean has revealed that the final season of 'GoT' will have a reunion special. Sean Bean, the actor who portrayed the beloved Ned Stark in the very first season of "Game of Thrones," recently did an interview with The Hollywood Reporter, in which he mostly talked about his role in the two upcoming TV series. But it was when he briefly discussed "Game of Thrones" that we've got some exclusive information about the show's last season. Let's see what he said. When asked if he kept in touch with his "Game of Thrones" co-stars, the South Yorkshire actor had a pretty interesting response. Season 8 rumors were also shut down by an HBO source. "Last time, was about four weeks ago in Belfast," Bean told The Hollywood Reporter. "Conan O'Brien did this thing. It was the last episode, so we all got together." 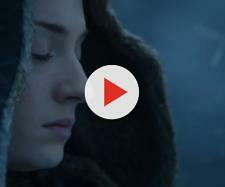 The actor then said that this "Game of Thrones" special will be a part of the show's last ever season. He also further explained what Conan O'Brien's role would be. "Yes, it was for season eight, the last one," Ned Stark star teased, "So they decided to get all the characters together for a bit for this big show in Belfast and he [Conan O'Brien] kind of hosted the evening." Now, that's pretty interesting information right there. And it also explains why Jason Momoa, who played Khal Drogo in the show's first season, was also seen in Belfast during the filming of Season 8. While this news is exciting and all, it should be noted that "Game of Thrones" Season 8 reunion special hasn't been officially announced by HBO yet. The final season is set to premiere sometime during the first half of 2019, just in time to be eligible for the 2019 Emmy Awards. 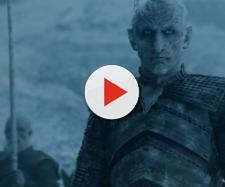 Season 8 also teases an unexpected ending [VIDEO]. Fans will have the opportunity to watch Sean Bean in two upcoming TV series. In the first one, "Medici: Lorenzo the Magnificent," (premieres on Netflix later this year) Bean will portray the manipulative Jacopo de' Pazzi, leader of a rival Florentine banking family, who is trying to bring down Lorenzo de Medici (played by Daniel Sharman). The new series follows "Medici: Masters of Florence," which starred Sean Bean's co-star and on-screen son in "Game of Thrones," Richard Maden (a.k.a. Robb Stark, the King in the North). Bean will also star in "Curfew," a Sky One TV series that revolves around a group of amateur drivers who've gathered from all across the globe in order to compete in an illegal nighttime street race. The series that also stars Adam Brody and Billy Zane will be available in the United States through Charter Communications via its Spectrum Originals.